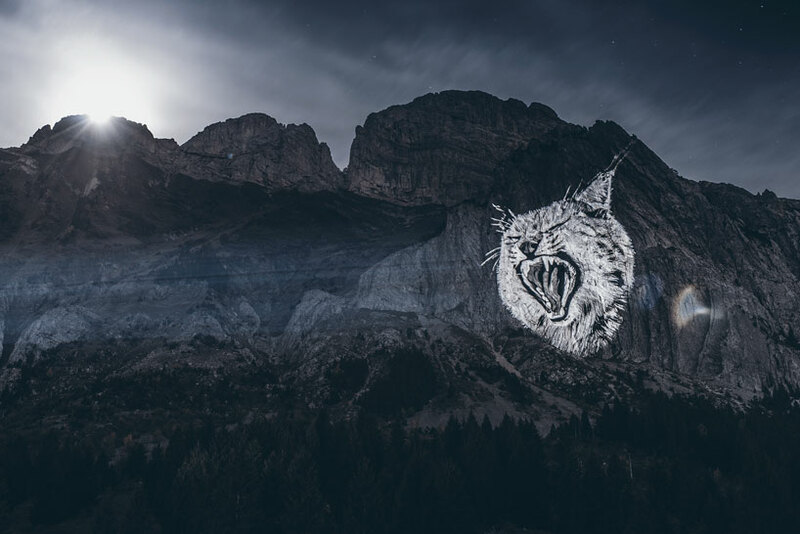 julien nonnon is a french street artist whose work articulates the interaction of his creations with the architecture and urban elements surrounding him. 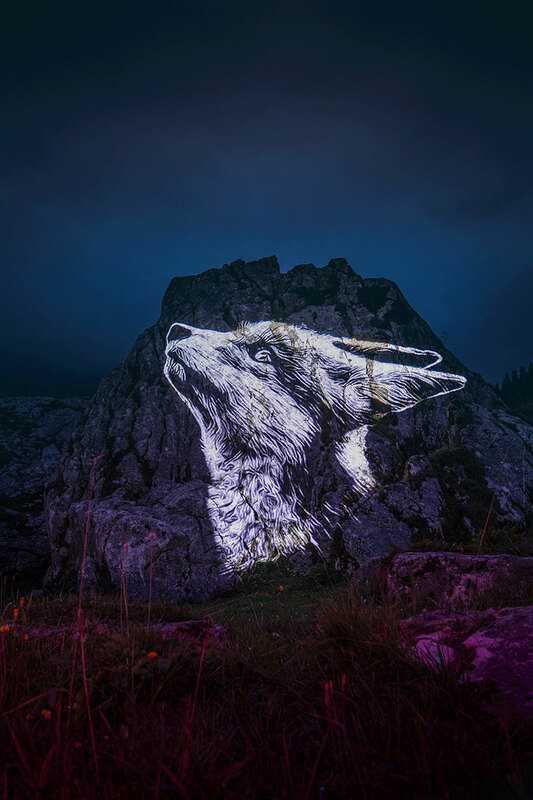 this process has brought numerous artistic projects to completion, combining street-Art, kinetic installations, digital creations and video-mapping. 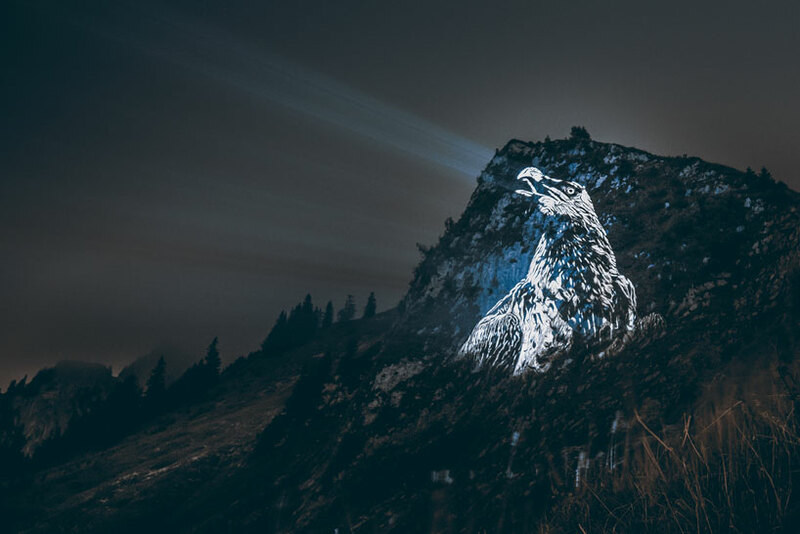 ‘crying animals,’ is the new photographic series by french artist julien nonnon, which aims to generate attention to the possible disappearance of symbolic animals from our mountains landscapes. 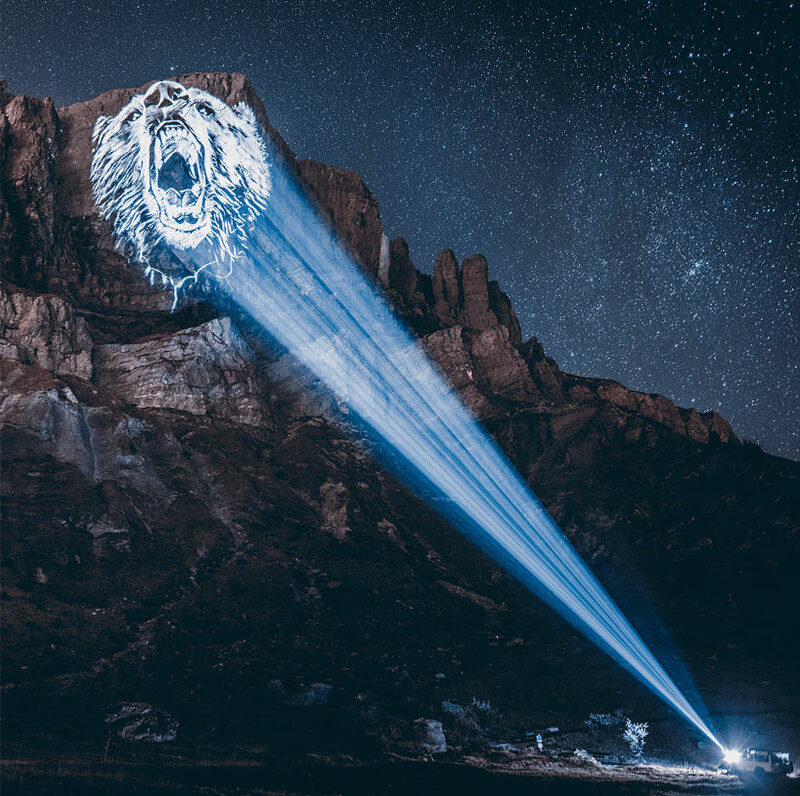 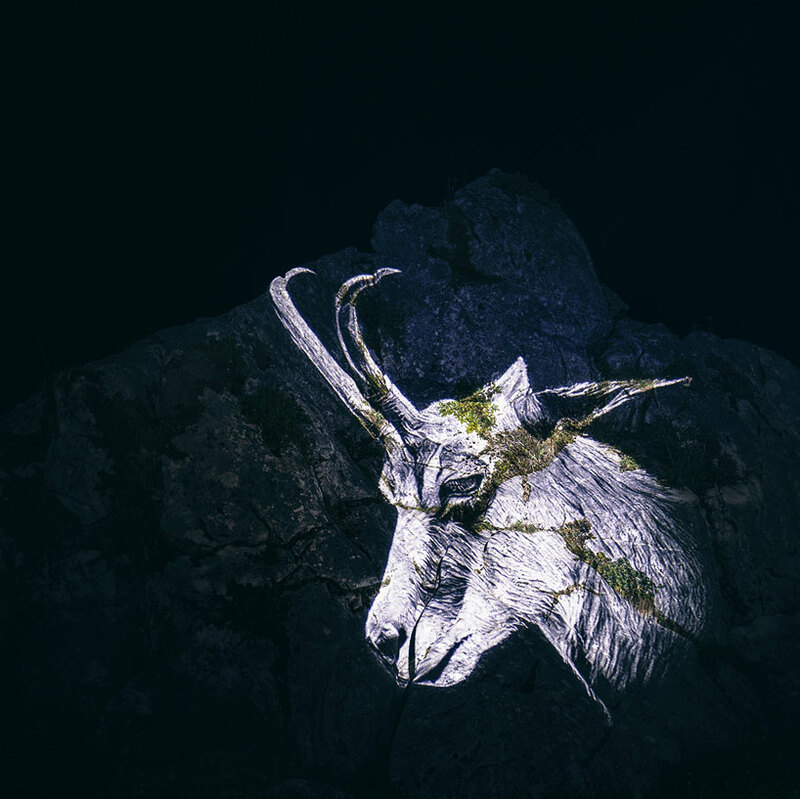 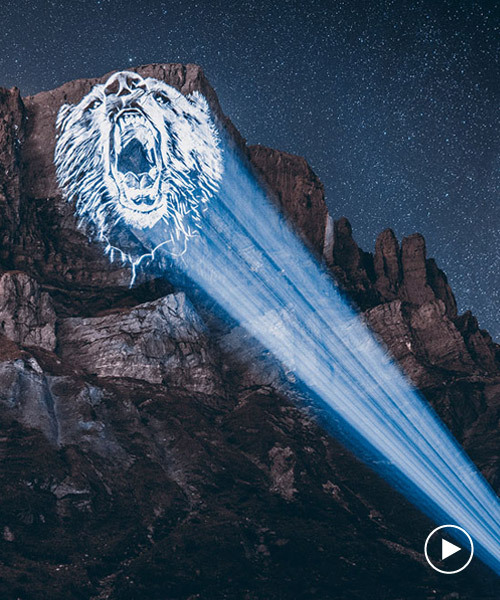 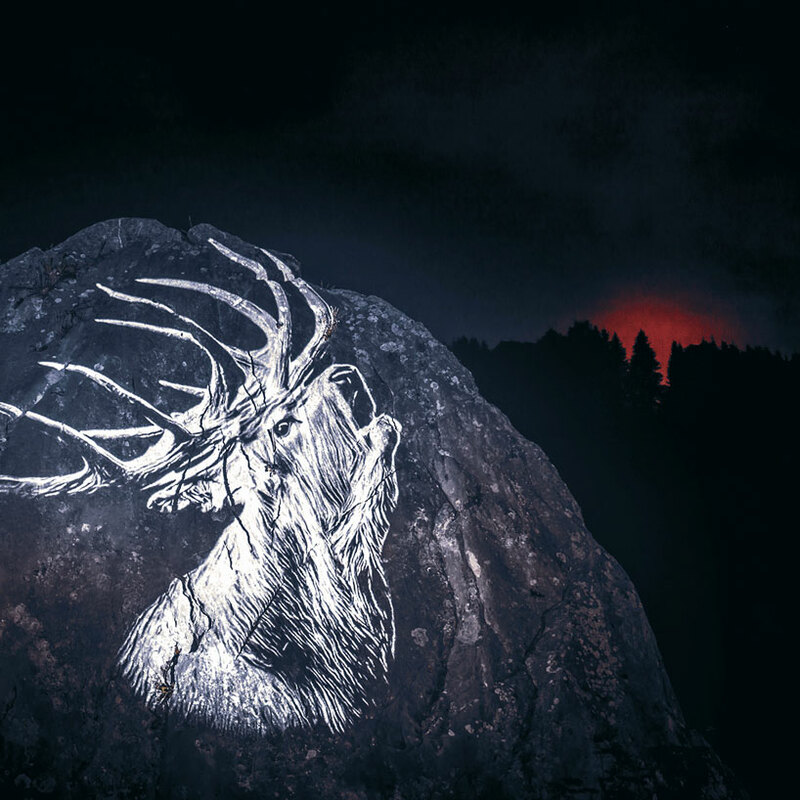 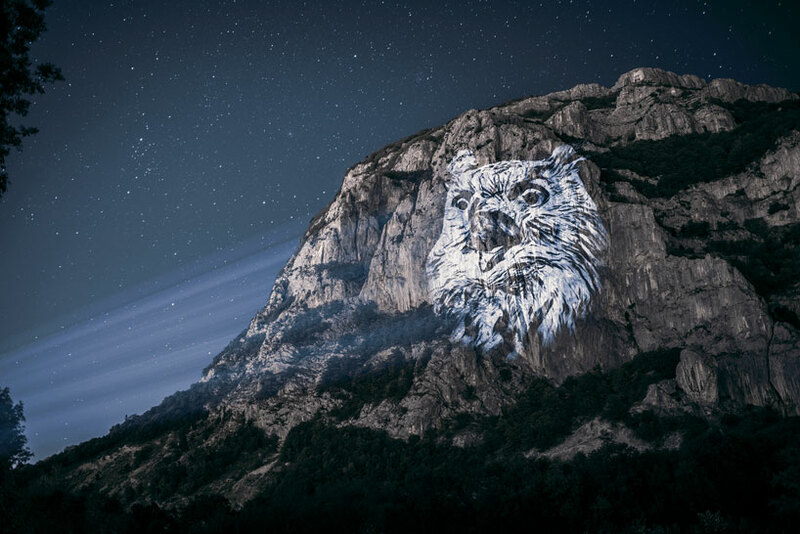 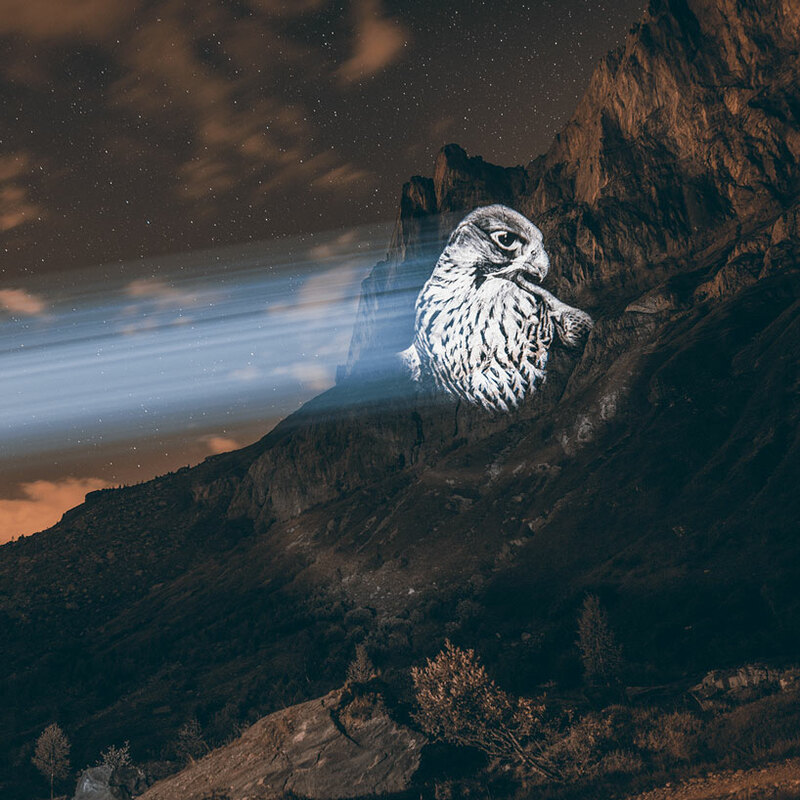 by projecting their image onto vast alpine cliff-faces, the main concept behind the project is to show the public that the lives of these species in their natural habitat is in serious peril. 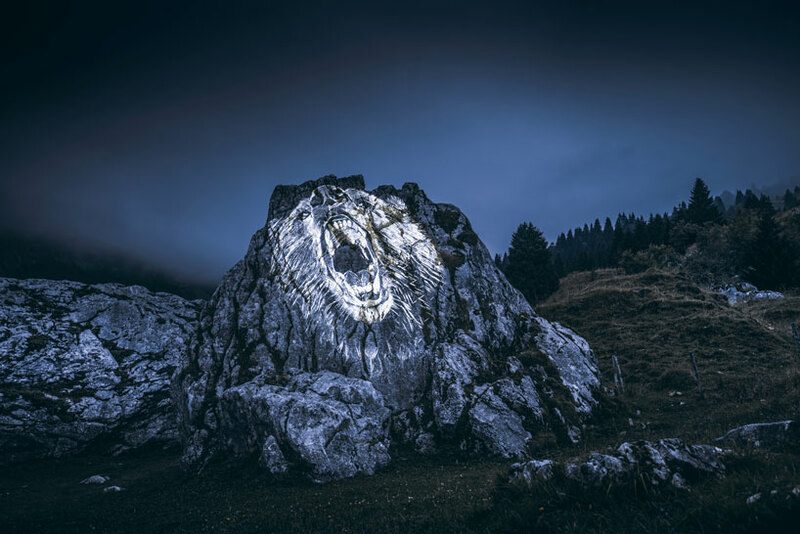 after his previous urban performances, ‘#le_baiser‘ and ‘safari urbain,’ which illuminated the cities of orlando, madrid, stockholm, hong kong and paris, nonnon has left the urban city for the alps. 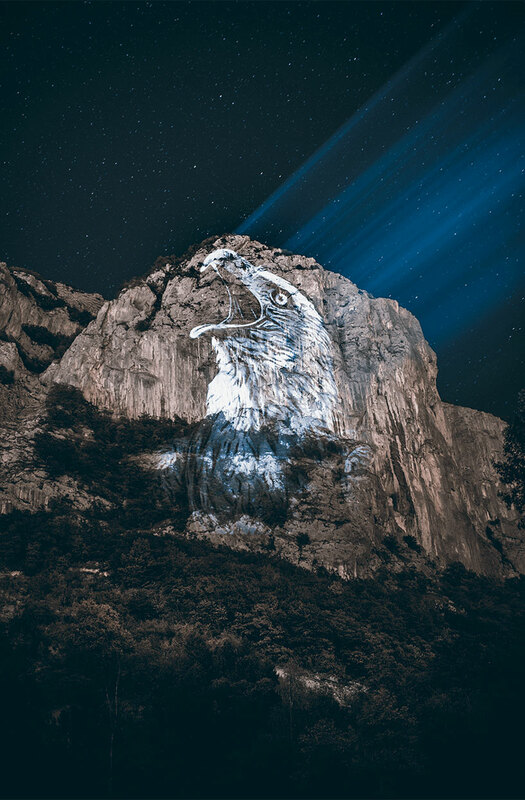 inspired by paleolithic artists, whose drawings followed the shapes of rock walls, he patiently identifies the most appropriate places and locations for projecting animals in the natural backdrop. 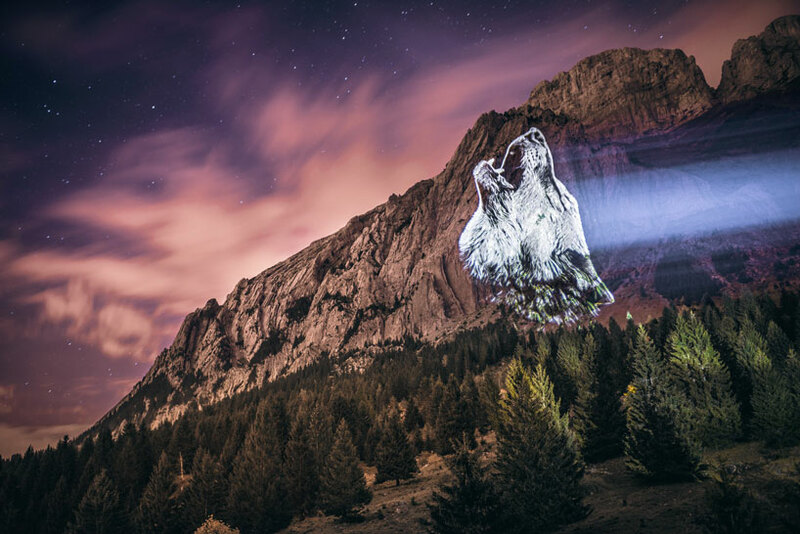 the result is a huge image projected onto rocky cliffs several hundred meters high. 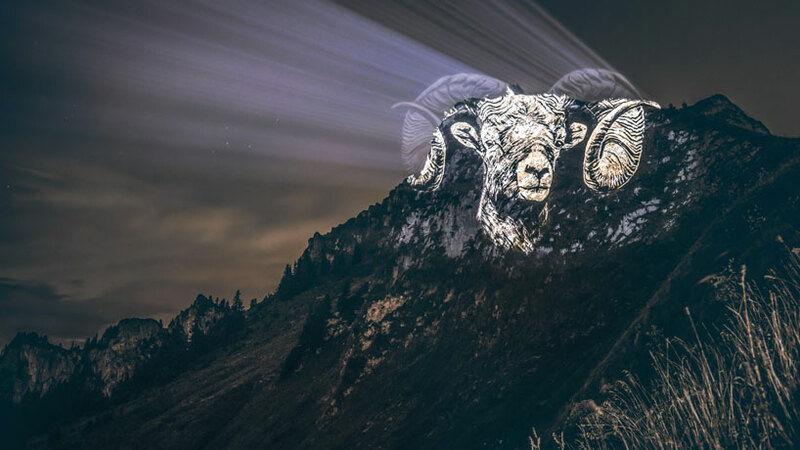 through his art, nonnon presents ‘crying animals’ in an effort to enliven support for these beautiful but endangered species.